The Carthage Institute of Paleontology is the College’s paleontology research laboratory at the Museum. Dr. Thomas Carr, vertebrate paleontologist, is the senior scientific advisor for the Museum and director of the Carthage Institute of Paleontology. The Institute’s lab is where the fossils collected during the annual field school expeditions are prepared and conserved by Dr. Carr and his student volunteers. Dr. Carr cleans a section of Triceratops skull. 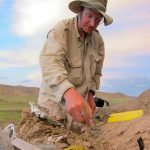 The Dinosaur Discovery Museum and the Carthage Institute of Paleontology conduct a month-long dinosaur-hunting expedition to southeastern Montana. 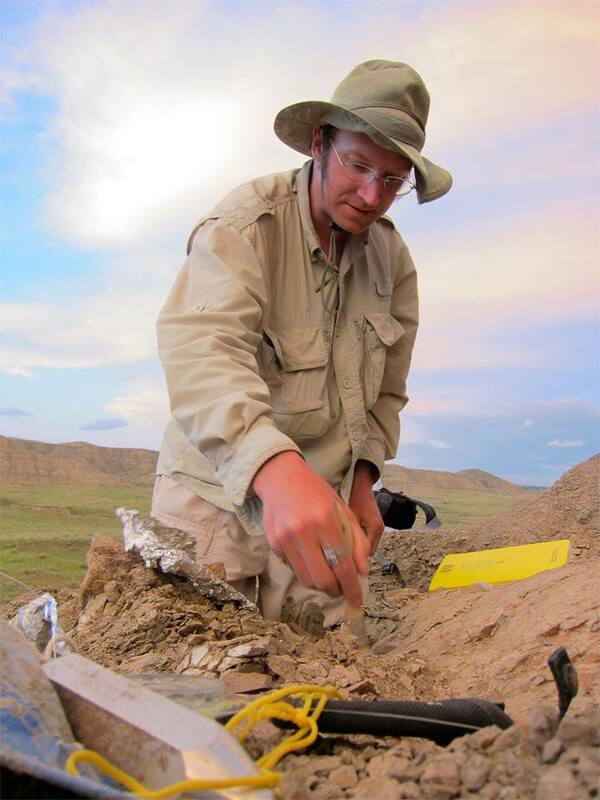 Dr. Carr and his crews explore the exposures of the Hell Creek Formation, a unit of rock deposited in Montana and adjacent states at the end of the age of dinosaurs. So far they have located four partial dinosaur skeletons. The expeditions collect on federally-regulated lands under the auspices of the Bureau of Land Management. The Museum has federal repository status, thus the fossils become part of the Museum’s permanent collection. The fossils collected from the field are prepared, conserved, and curated here. The expedition began quarrying a horned dinosaur skeleton. They discovered the smallest partial skeleton (that includes skull and postcranial bones) of the smallest T. rex ever found, nicknamed Little Clint. The expedition discovered three partial dinosaur skeletons – two duckbills and one horned dinosaur – and they uncovered three more bones of Little Clint.